Acupuncture is the practice of inserting very thin needles into specific parts of the body to help treat certain disease processes. It is a part of Traditional Chinese Medicine (TCM) and has been practiced for thousands of years. In TCM, it is believed that Qi (the energy flow or life force) flows through particular pathways or meridians. By stimulating very specific locations on these meridians, we can improve energy flow and rebalance the body. Acupuncture has been shown to provide pain relief for chronic conditions, stimulate the nervous system and regulate immunity. It is used most commonly to treat arthritic patients, but can be used for any muscular or orthopedic conditions as well as the relief of cancer pain. Along with Western medicine, acupuncture can also be used to treat a wide variety of other chronic conditions including skin disease, gastrointestinal disease, neurologic and seizure disorders, heart disease and behavioral problems. Dr. Lauren Zepernick graduated with honors from the University of Vermont with a degree in Animal Sciences. During her time at UVM, she spent a semester abroad in Namibia working with the Cheetah Conservation Fund. She attended veterinary school at North Carolina State University, followed by a rotating small animal internship at Cornell University. 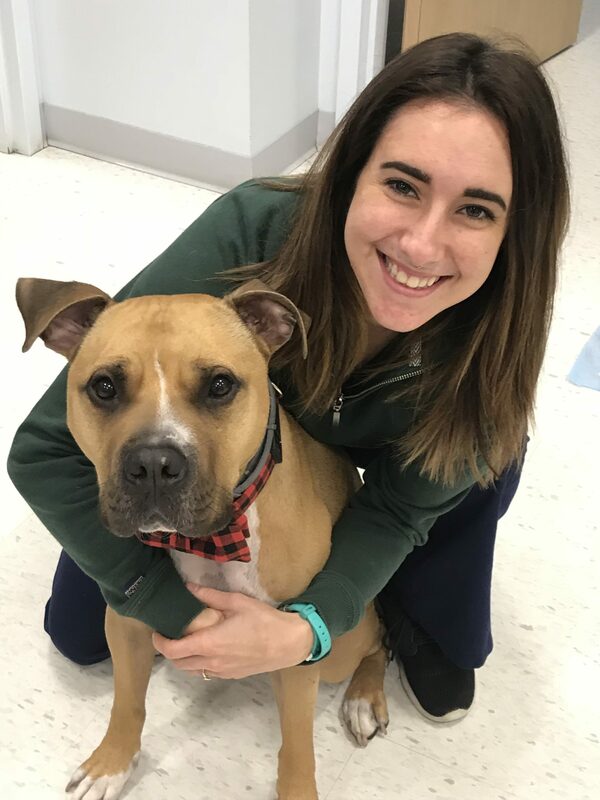 After completing her internship, she returned to North Carolina where she spent five years working as an emergency veterinarian, eventually becoming the Director of Emergency Medicine during her final year. Dr. Zepernick moved to the Boston area in 2013 and made the transition to general practice. Being able to spend time with her patients and care for them long term, she discovered she wanted to do more to help those patients that suffered from arthritis and other chronic diseases. It was also during this time that her dog, Maggie, began to slow down as a result of arthritis. To benefit Maggie and other patients like her, Dr. Zepernick became certified in veterinary acupuncture through the Chi Institute in Florida. After seeing how much acupuncture improved her patients’ quality of life, she decided to start her own veterinary acupuncture practice. Outside of work Dr. Zepernick enjoys traveling, reading, live music and exercising. 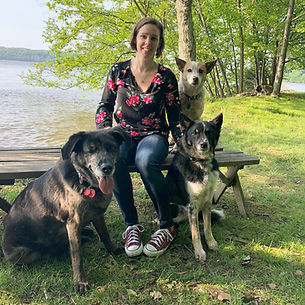 She also enjoys spending time outdoors with her three dogs – Maggie (a Catahoula mix), Sydney (an Australian Cattle Dog mix) and Eli (a Border Collie mix) – all shelter dogs from the south.